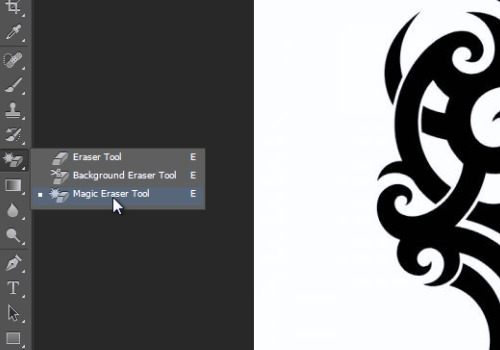 In this video tutorial we will show you how to photoshop a tattoo tutorial. Launch the Adobe Photoshop. Go to the “File” menu, press “Open” and choose a photo you want to edit. Go to “File” menu, press “Open” and choose a photo with the tattoo. Then right-click on the “Magic Eraser Tool” from the toolbar and select the “Magic Eraser Tool”. Move the cursor on the image with the tattoo and click on a white sheet. Then select the “Move tool” from the toolbar. Left click on the tattoo and hold the button, then drag and drop it onto the other image tab. 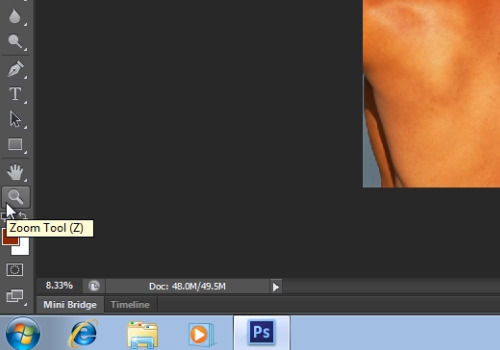 Zoom in the photo with the “zoom tool” from the toolbar. Go to the “Edit” menu and choose the “Free Transform” option from drop down menu. Then adjust the position and the size of the tattoo. When it’s done, click on the “Check” button. 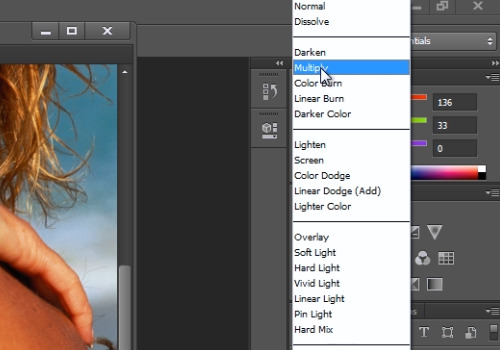 Go to the Layers tab, press on the “Overlay mode” menu and select the “Multiply” option from drop down menu. Then adjust the “Opacity”. 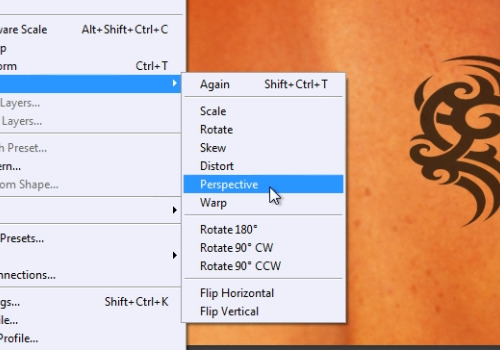 Go to “Edit” menu, click on the “Transform” option and choose the “Perspective” option from submenu. Rotate and adjust the position of the tattoo. When done, click on the “Check” button. Zoom out the image to see the result on the whole photo.